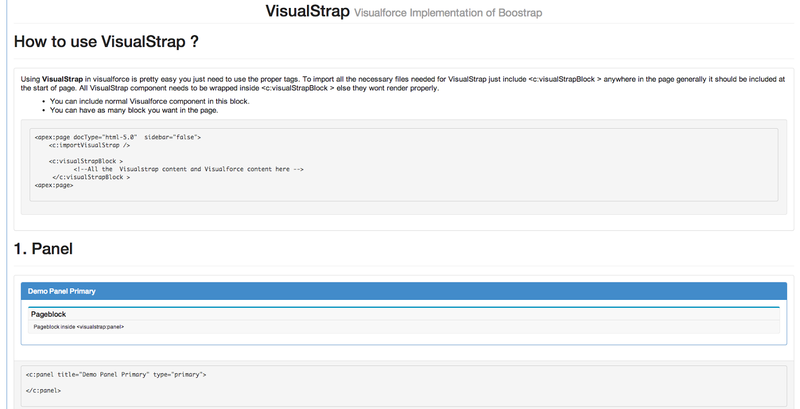 After around months of playing with Bootstrap and Visualforce here is a first version of "VisualStrap". 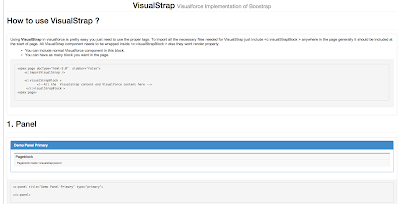 VisualStrap is a set of components that work inside your visualforce page without affecting the standard layouts (if you directly import Bootstrap inside a VF page it will mess up the whole page). With VisualStrap you can make your VF pages more appealing to user , more responsive and more user friendly. Currently the below set components are Bootstrap are converted into VisualStrap but I am working hard to bring them all. What you get with this version of VisualStrap ? Almost everywhere! But you can consider VisualStrap for pages that are exposed as Salesforce Sites or in Customer Portal. 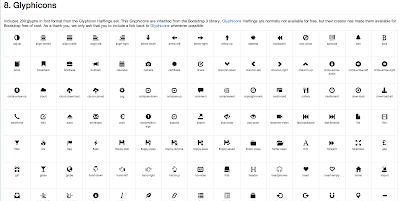 Please visit the Project page for documentation, Installation and Github link. Hi, Can you share the VF page for http://visualstrap-developer-edition.ap1.force.com/VSDashBoard. I would like to build a similar one. I've created an apex chart in a component that I have placed in a vs grid. All the responsive features are working perfectly but the bars on my chart are missing. The axis appear as expected though. When I remove the c:visualstrapblock tag the bars appear. I'm using the unmanaged version. Cab you send me a sample code of the issue ? 1). Our whole page is getting distorted when i am zooming in or zooming out.i am not able to handle it by using position or by using a wrapper around the page. 3). In navigation bar tag i am not able to resize the logo width etc which is giving a odd look to the header section. I need to see the actual code to comment on zoom in and zoom out issue. 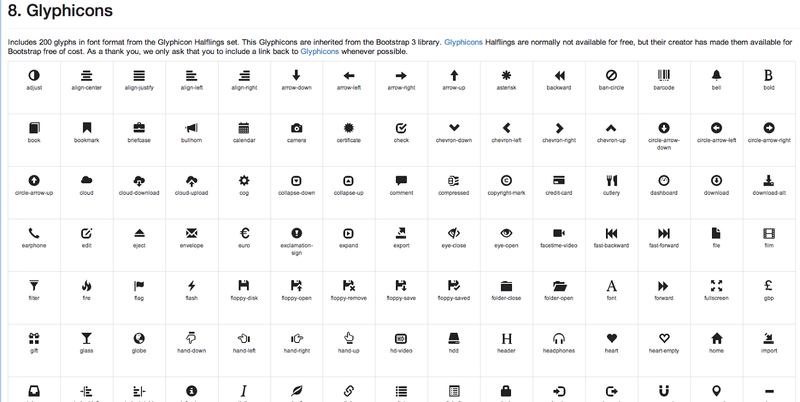 3) you can implement your own navigation bar if you want, by using the code from bootstrap. Thanks for the quick response Avinava. Can you please give me any suggestion on keeping the page content static even when you zoom in or zoom out. I mean how to achieve such functionality? Professional Salesforce Training in Hyderabad@ Techiemills. click here for more related stuff in tech oneplus c type earphone. A model is a person with a function either to sell, show or market it industrial products (appreciably style garb in style indicates), or to serve as a visual useful resource for individuals who are creating works of artwork or to pose for images +919910294610.